With World Championships of figure skating beginning on Monday, South Korean Olympic Committee has said that they will file a complaint to the International Skating Union about an alleged breach of the code of ethics during the ladies Olympic competition. It's a complaint the Koreans are afraid they'll be punished for. And when you look at things like score sheets, there are some curious wrinkles like the abundance of +3 GOEs (the highest scores judges can give) on Sotnikova's and fellow Russian Julia Lipnitskaya's programs, but the utter lack of them on the other ladies' scores. 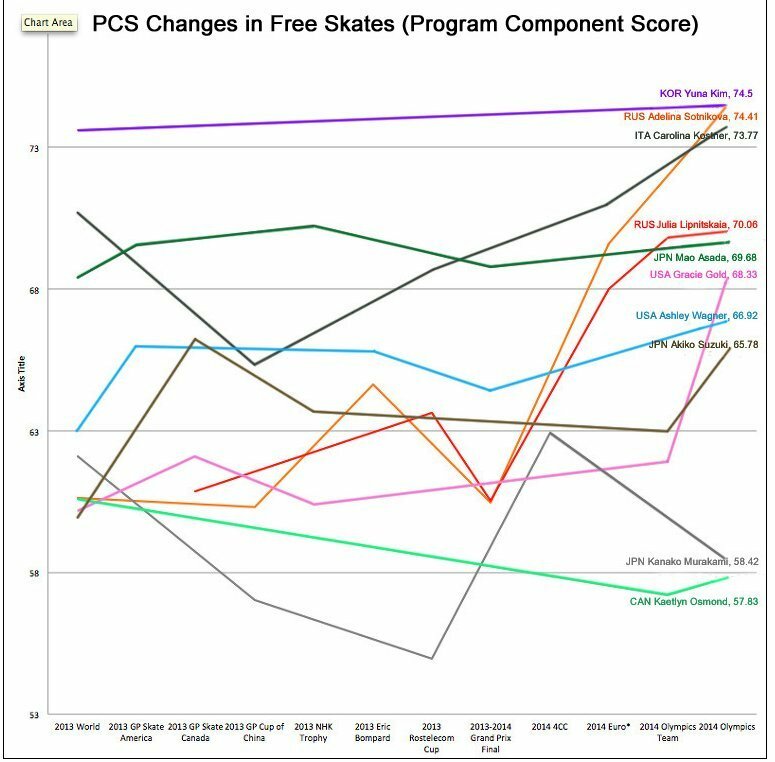 Since then there have been other discrepancies, like the points awarded on Kim's and Sotnikova's footwork sequences, the meteoric rise of Sotnikova's artistry scores, and the IOC publishing fake quotes from Kim about how Sotnikova was a better skater that night.